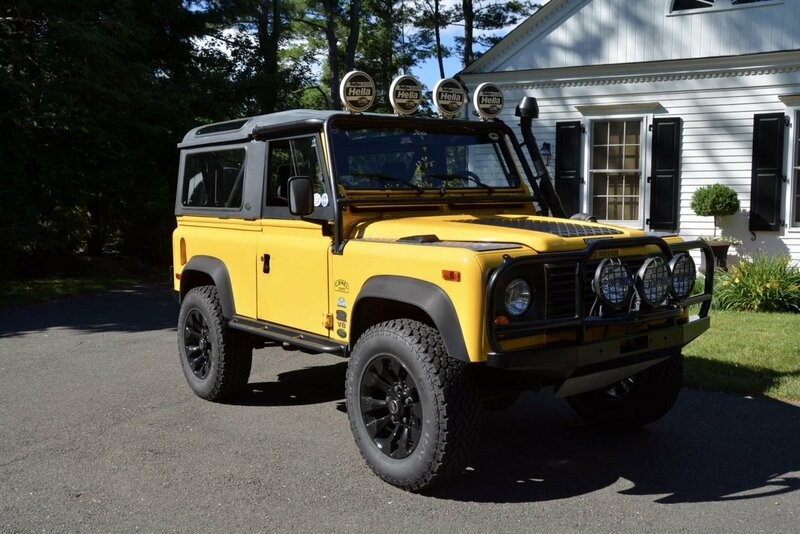 1995 Land Rover NAS Defender 90 Convertible Edition in AA Yellow.... US-specs. 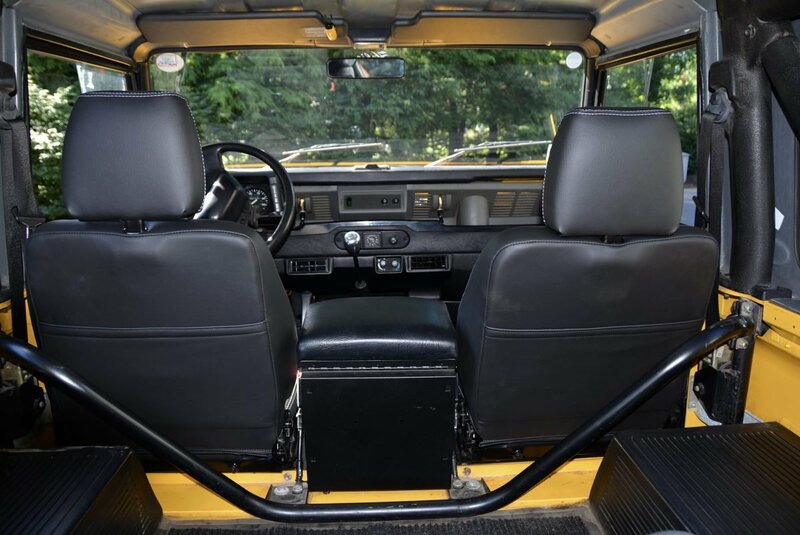 - 1995 Land Rover NAS Defender 90 ( # ) Edition in AA Yellow. 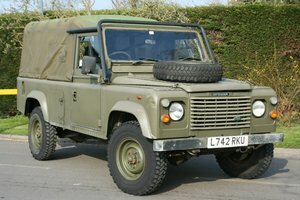 - We sold this D90 to it’s third owner back in April of 2003. 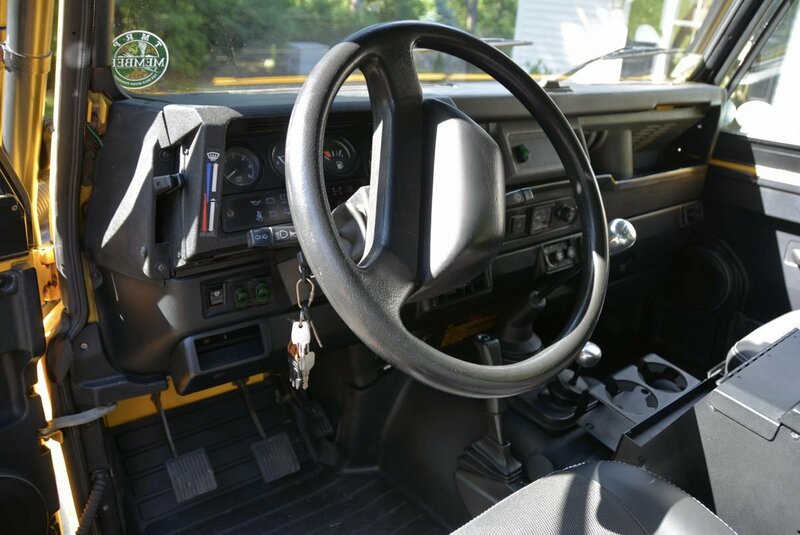 It has been meticulously maintained and accessorized with attention to detail and no expense spared. 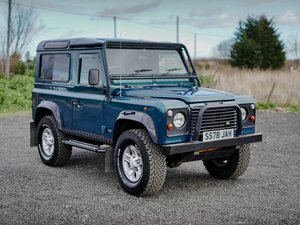 - This is a truly unique D90 that is a pleasure to drive and ready to be enjoyed by it’s next fortunate caretaker. 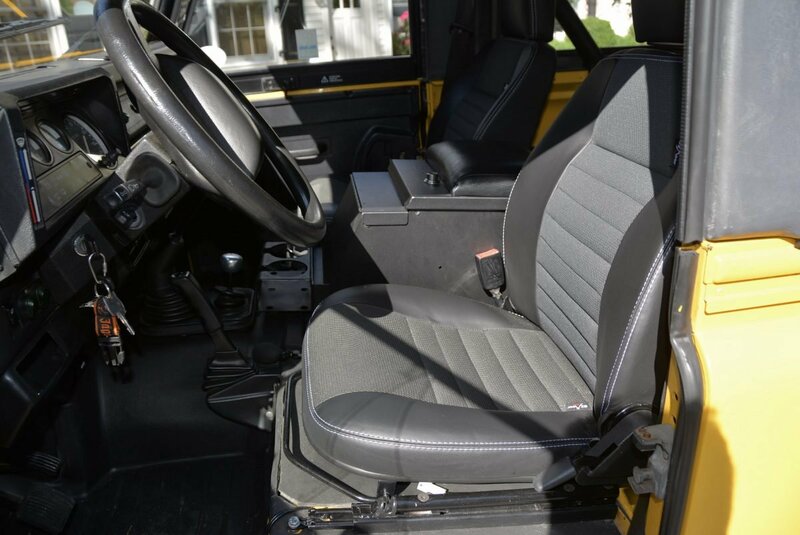 - It comes equipped with a newly freshened interior that features front seats covered in Leather with subtle fabric inserts with contrast stitching, a lockable Tuffy center console/box, new front rubber mat system that covers the entire front section, rubberized protective front seat bases, air conditioning, foldable and removable rear seat with heavy duty rear carpeting, aluminum shift knobs, heated front seats, cup holders and sprayed stereo system. 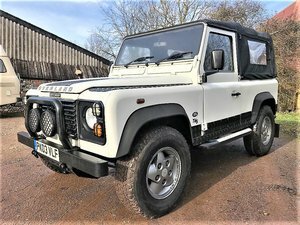 - Other tasteful modifications include updated Gloss Black finished Rover Alloy wheels, diamond plated hood and front fenders, front and rear skid plates, snorkel breather, front brush bar, new side steps, rear lamp guards, heavy duty rear bumper with recovery hooks, rear spare tire cover, upgraded heavy duty rear tire holder with step, rear work light and enough auxiliary Hella front driving lamps to land aircraft on a remote desert island and new General Grabber AT2 tires. I am sure I am forgetting lots of things. 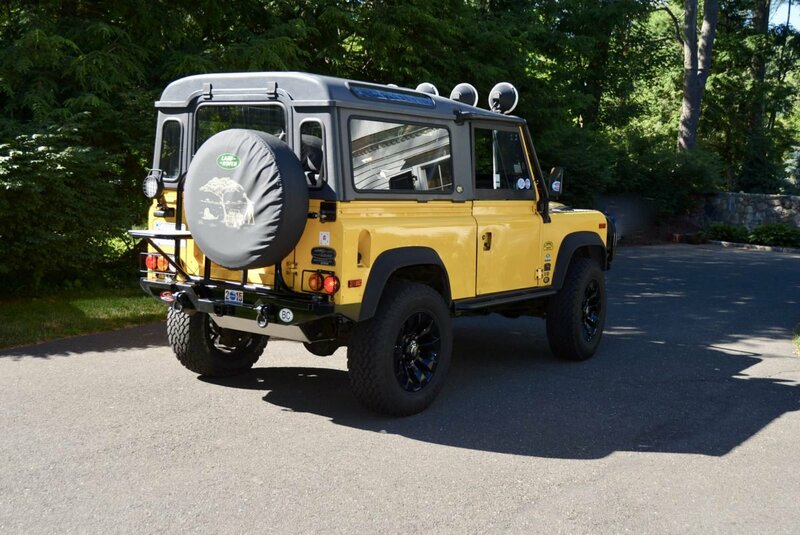 - Also included in the sale is a removable Hard Top ( shown in photos ) with extra side pieces, a new Badger full soft top with plexiglass windows and screens, a Surrey top and a Bikini top with gutter guards as well. - WHAT A COOL TRUCK!!!! 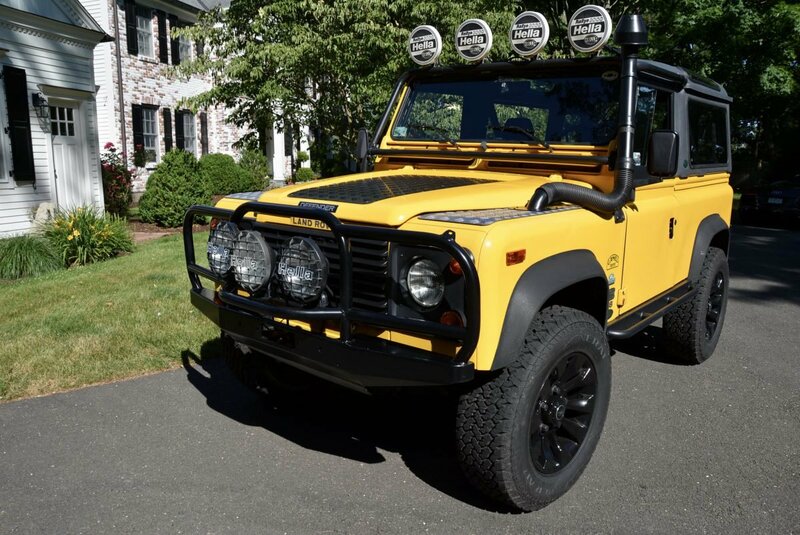 It drives incredibly well and is reasonably priced at $79,900..USD...!